Just after lunch on a Friday afternoon in late March 2017, Salvador Minuchin gently raised his hand to address the hundreds assembled to learn from him at the Psychotherapy Networker Symposium in Washington, D.C. If any of the attendees were drowsy from their meal or the demands of the week, they did not stay that way for long. Once the crowd quieted, the then-95-year-old giant of family therapy, his body and voice diminished by age, announced that this would be his last public appearance. This was the first memory to hit me, nearly eight months later, when I saw Minuchin on the cover of The Washington Post on the first Sunday in November. Sadness and gratitude quickly followed when I learned that he had died, at age 96, on Oct. 30. Minuchin’s face, voice and genius are familiar to many of us who have been trained to apply family systems theory to the practice of professional counseling. Many of us were introduced to what has become known as structural family therapy during our graduate training programs. 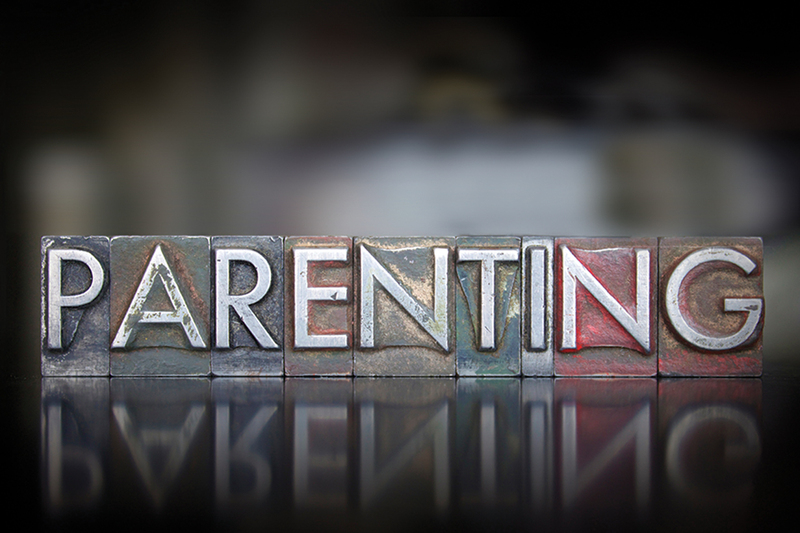 Countless instructors have shown archived videos of Minuchin seeing, naming and changing the maladaptive patterns of families seeking his expertise at the renowned Philadelphia Child Guidance Clinic (CGC). Certainly, this is the contribution to the field for which Minuchin is best known, and it is my preferred mode of practice and teaching. However, it was Minuchin’s democratization of psychotherapy that I have found most inspiring. Having earned his M.D. from the University of Cordoba in his native Argentina in 1947, Minuchin immigrated to the United States to be trained in child psychiatry and psychoanalysis. Minuchin was also Jewish, and his post-doctoral training was sandwiched around a stint serving in the Israeli army to support the fledgling state. By the mid-1950s, Minuchin had begun to work as a child psychiatrist at the Wiltwyck School for Boys along the Hudson River between New York City and Albany. The school was a treatment center for underprivileged boys, many of whom had been involved with the juvenile court system, between the ages of 8 and 12. It was at Wiltwyck that Minuchin first conceived of inviting a child’s family into the consulting room as a valuable contribution to the treatment process. Minuchin changed this system at Wiltwyck so that not only were children seen with their parents in the same room, but Minuchin and his colleagues observed each other providing and developing a style of family therapy through one-way mirrors. 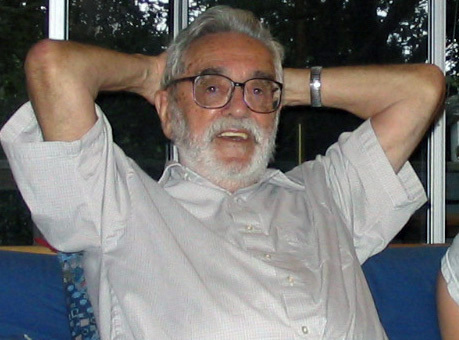 This innovation led Minuchin to develop a theory of family structure, his psychoanalytic training shining as he interpreted relational moves between family members and family subsets. Once he had developed his theory, he began to collaborate with other like-minded practitioners, namely Jay Haley, who joined Minuchin in Philadelphia at the CGC in the mid-1960s. It was here that structural family therapy proliferated. Having accepted a position as director of the CGC in 1965, Minuchin published his first book, Families of the Slums, in 1967. A dozen books, some written with various co-authors, followed, including classics such as Families and Family Therapy (1974), Family Therapy Techniques (1981), and Working With Families of the Poor (second edition, 2007). At the CGC, Minuchin and his staff emphasized working with underprivileged families of the city — to the point that they were teaching laypeople to provide structural family therapy-influenced care to their neighbors in the nearby ghettos and barrios. Clinicians from all over the world flocked to Philadelphia to learn from Minuchin and Haley. Among these trainees were Steve Greenstein and Dave Waters. By the late 1990s, Greenstein had moved on from the CGC and landed in Charlottesville, Virginia. In this small town, home to the University of Virginia (UVA) and set in the Blue Ridge Mountains, Greenstein furthered Minuchin’s democratic vision by taking structural family therapy outside the clinic walls and into the homes of families in crisis. 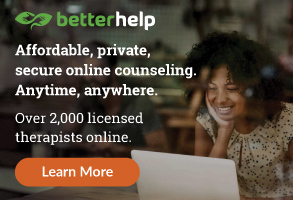 Greenstein founded the League of Therapists, a private agency that primarily provided intensive in-home counseling, a Medicaid-funded service aimed at helping prevent out-of-home placement for at-risk children. Clinicians were trained to help families from a variety of different circumstances. They helped reunite children in foster care with their birth families, prevent acute hospitalization and residential treatment, and prevent juvenile detention by working with the entire family system to see, name and change maladaptive relational patterns. Waters, who was a professor in the UVA medical school when Greenstein started his project, joined as a fellow supervisor. Clinicians, who often were residents in counseling, marriage and family therapy or clinical psychology, videotaped their sessions and reviewed their work with Greenstein and Waters on a weekly basis. At its height, the League of Therapists had 12 offices across Virginia and as many as 300 providers. Thousands of families were served until the group closed its doors in 2011. Greenstein died three years later. Nevertheless, the work continues. Several of the counselors who worked for Greenstein continue to provide home-based family therapy in Virginia. Waters continues to supervise and teach them through video review on a regular basis. It bears mentioning that Minuchin was not without his critics. His obituary in The Washington Post noted that Minuchin came to the forefront of public discourse as the feminist movement was gaining strength. Activists from that end of civic discourse often found him “too willing to accept and reinforce traditional gender roles and stereotypical family units.” Furthermore, many of his colleagues found his methods, which at times could range from biting humor to blatant mockery, too confrontational. This side of Minuchin is familiar to anyone who has viewed any of his archived video footage. It came through in the video he reviewed with the March symposium attendees. During the session, he referred to the father of the client family as a “brute” and made it bluntly explicit that he, Minuchin, was the expert in the room. The tape was from the 1980s, when Minuchin was in his 60s and approaching the end of his career. On that Friday afternoon at the symposium, he was asked to comment on his perception of himself as he watched more than three decades later. He replied that he was embarrassed. “If I had it to do over again,” he said, “I would do it differently. I would do it more gently.” And so, the next generation may be inspired to take the core principles and techniques Minuchin developed but apply them with rounder edges. The continued development and dissemination of structural family therapy has been centralized at the Minuchin Center for the Family, located just outside Philadelphia in Woodbury, New Jersey. 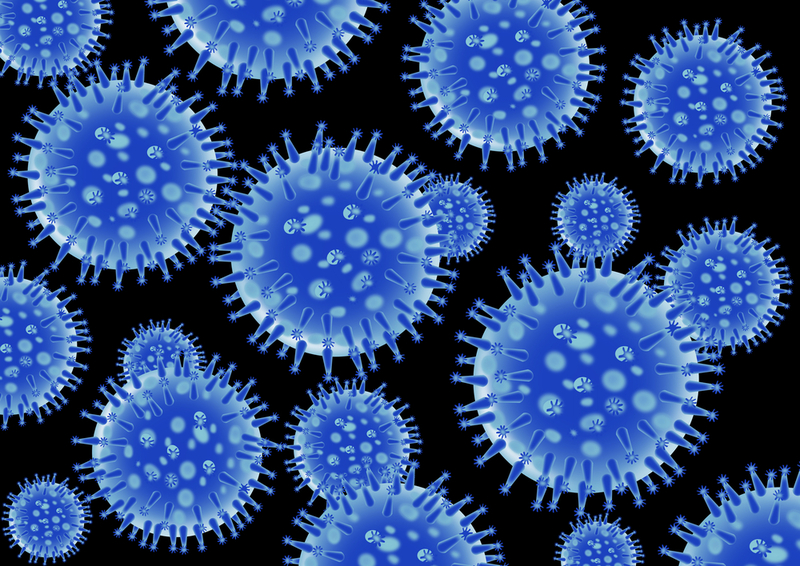 However, clinicians who have been influenced personally and professionally by Minuchin are all over the world. A few of us were in the room with Minuchin this past March, and the moment was not lost on us. Minuchin was not only a great developer of the theory and practice of family therapy, but also one of the great advocates for giving the underserved access to a systemic approach to counseling. May we all carry his legacy forward in our respective communities. Charles F. Shepard is a licensed professional counselor and national certified counselor in private practice and a student in the doctoral counseling and supervision program at James Madison University. He learned structural family therapy in the style of Salvador Minuchin from Steve Greenstein, David Waters and Gretchen Wilhelm. Contact Shepard at cshepard.lpc@gmail.com. The influence of neuroscience on the counseling profession is growing. So much so that the American Counseling Association has an interest network of members devoted to its exploration and discussion. Neuroscience can be both a tool — one of many — in a counselor’s toolbox and a game-changing way to conceptualize clients, conduct assessments and select interventions, write Thomas A. 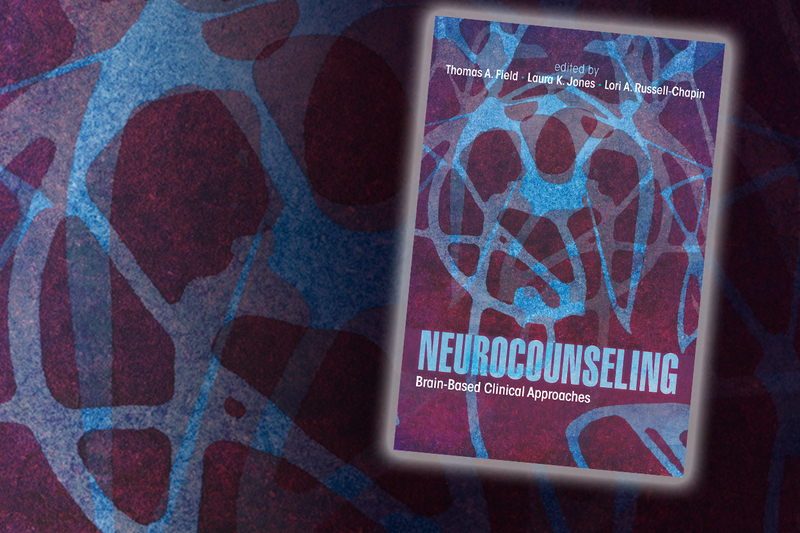 Field, Laura K. Jones and Lori A. Russell-Chapin in their new book Neurocounseling: Brain-Based Clinical Approaches (published by the American Counseling Association). Field is an associate professor in the master’s counseling program at the City University of Seattle; Jones is an assistant professor at the University of North Carolina at Asheville; and Russell-Chapin is professor of counselor education at Bradley University in Illinois. Counseling Today sent the trio some questions, via email, to learn more. Besides your book, what resources do you recommend for counselors who want to learn more about neurocounseling? Lori Russell-Chapin: We are learning more about the fascinating brain every day through research and brain scanning. Counselors need to know as much as possible about the brain, especially as it relates to the skills of counseling. The very first thing helping professionals can do is refresh their knowledge base and skills. Take a course or workshop on neurocounseling. That material is out there. At Bradley University, there is an online course called “Neurocounseling: Bridging Brain and Behavior.” Perhaps readers might have a desire to even take an introductory course on human anatomy and physiology. Almost any university will offer this course. Even if you took a similar course years ago, take a new one. So much has changed in the last decade. Attend any ACA Conference and participate in the many workshops scheduled on neurocounseling. The number has tripled in the last 10 years. 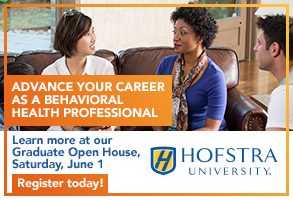 Decide what aspect of neurocounseling interests you, [and] then ask colleagues for potential courses to take, from heart rate variability to biofeedback or neurofeedback. Many excellent for-profit corporations are offering these biofeedback and neurofeedback courses. Of course, join any of the professional networks that have been created to connect with others who have similar interests: ACA Neurocounseling Interest Network; AMHCA (American Mental Health Counselors Association) Neuroscience Interest Network and ACES (Association for Counselor Education and Supervision) Neuroscience Interest Network. At the ACA conferences, these three groups join forces to connect and share information. In the preface, you write that neurocounseling is “commensurate with the orientation and identity of the counseling profession.” Can you elaborate? How do you feel neuroscience is a good fit for professional counseling? How are counselors particularly suited to adopt its principles into their work? 1) The relationship takes precedence. 2) Diversity is affirmed and actions are taken to modify the societal conditions and environments that cause dysfunction. 3) Wellness and mental health are as much a focus of intervention as remediating psychopathology. 4) A person’s strengths and challenges are conceptualized within the developmental context in which they occur. First, neuroscience has and can provide information to us about what conditions are most important for a therapeutic relationship to be established. Information about client neurophysiological responses in the counseling room can help us understand what helping behaviors are facilitative, such as establishing safety and security. Chapter 5 of our book, written by Allen Ivey, Thomas Daniels, Carlos Zalaquett and Mary Bradford Ivey, is instructive in this regard. While theories of effective relational characteristics exist (e.g., interpersonal neurobiology, polyvagal theory), we believe more research is needed in this regard. Second, epigenetics provides rich information about the neurophysiological impact of systematic marginality, oppression and trauma. Kathryn Douthit’s chapter on the biology of marginality (chapter 3) and Laura Jones’ chapter on traumatic stress (chapter 4) provide an excellent overview of this topic. Third, neurocounseling supports the importance of adequate sleep, diet, exercise, social involvement and spiritual engagement in optimal functioning. Ted Chapin’s chapter on wellness and optimal performance (chapter 8) provides an extremely helpful clinical case study that emphasizes what a wellness-oriented neurocounseling approach might look like in practice. Fourth, neurocounseling emphasizes the importance of understanding the development of the brain and body over the life span. Laura Jones’ first two chapters emphasize how to conceptualize client issues through the lens of neurophysiological development. Lastly, we would be remiss if we did not mention that the text was organized around the Council for Accreditation of Counseling & Related Educational Programs’ 2016 standards. We believe that principles from neuroscience are relevant and applicable to the eight common core CACREP areas (human growth and development, social and cultural foundations, helping relationships, assessment, research, group counseling, ethical practice and even career development) as well as specialization areas (e.g., psychopharmacology, addiction, etc.). In your opinion, how far has the profession come in understanding and incorporating neuroscience into counseling practice? Is it being readily adopted, or are there counselors who misunderstand it or don’t feel that it is useful? Laura K. Jones: There is the question of how far has the profession come in incorporating neuroscience into counseling practice, and then there is the question of how far we have come in incorporating neuroscience into the profession as a whole, which are two related but distinct questions. With regard to the profession, interest in neuroscience has expanded significantly in the past 10 years, since Allen Ivey and Mary Bradford Ivey gave one of the first talks on brain-based counseling at ACA’s 2008 Conference & Expo in Honolulu. One example is simply the number of conference sessions that integrate a discussion of neuroscience. At the 2008 conference, there were only around five that discussed the brain in some manner; at the 2017 conference [in San Francisco], there were not only three learning institutes but 17 educational sessions. This pattern of growth is visible across every sector of the counseling field, including both clinical training and practice areas. The 2016 CACREP standards delineate an increased focus on training in the neurological foundations of client development, well-being, presenting concerns and the counseling process, with over three times the number of references to the application of neurobiology and neuroscience than were cited in the 2009 standards. AMHCA is also strengthening its focus on neuroscience, not only expanding its training and clinical practice standards in such areas, but also now allocating a section of its flagship journal, the Journal of Mental Health Counseling, to articles detailing the integration of neuroscience into counseling research or clinical practice. There are three national neuroscience interest networks, one representing each of the core organizations (namely ACA, AMHCA and ACES), as well as a new neuroscience virtual meetup group based out of Northwestern University, BRAINSTORM, which has monthly meetings to discuss neuroscience research and translate such research into clinical implications. Each of these groups now has hundreds of members — a significant change from the two pages of handwritten names I collected at the 2013 ACES conference in Denver, which were used to start the first neuroscience interest network within the field. And this is a trend being mirrored across all mental health professions. As research surrounding the physiological underpinnings and outcomes of mental health struggles continues to expand (the roles of inflammation, the microbiome-gut-brain axis, the endocrine system, etc. ), mental health providers are being called to reexamine our conceptualizations of mental health and mental health disorders, and neurophysiology is a significant construct within this new paradigm. Occasionally I will still hear individuals refer to this shift as a “fad,” but that perspective appears to quickly be fading. One of the cautions, however, is that while there is certainly an ever-growing interest and acceptance within the field, as is often the case with an interest that grows quickly, there is also misinformation and to some degree a misrepresentation and overextension of the science that is also occurring. This is why, from my perspective, one of the especially exciting trends I am seeing in this area within our field is the rapidly growing number of master’s- and doctoral-level students who are eager to gain training in neuroscience. This interest, and subsequently the training of these future counselors and counselor educators, is the catalyst for continued growth and research [concerning how we as a profession can integrate neuroscience into our field in a manner that honors our unique professional identity. To continue to accurately, ethically and successfully incorporate neuroscience into the profession, we need to enhance our efforts at training counselors and counselor educators in the basic principles of neuroscience and how this information can be applied to our work with clients, supervisees and students. As such, we cannot sustain this interest within the field and our reputation in the larger mental health world without having a body of counselor educators who are accurately trained in neuroscience and able to teach future generations of practitioners and educators. This is one of my primary interests in this movement and was a significant impetus for me in working on this book. This gets back to the original distinction I made between a growing emphasis in the field versus in clinical practice. Where we see the preponderance of the integration of neuroscience into counseling practice now is in client conceptualizations, psychoeducation, wellness practices, social justice and, to some degree, assessment. Research has also substantiated that psychotherapy has the ability to enhance brain functioning in the alleviation of client symptoms. 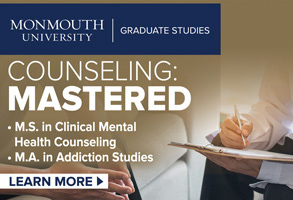 However, additional outcome-based research is needed within the counseling field in particular to further our understanding of how we can use neuroscience to further substantiate our theories and techniques, as well as build new, more efficacious interventions. We have made significant progress in the last 10 years, and yet we still have plenty of room to grow, as do the other mental health professions in this area. I am excited to see the continued expansion of neuroscience within our field and counselors become even more established as leaders in neurophysiologically informed research, practice and mental health policy in the future. What misconceptions might counselors have about neurocounseling? Laura K. Jones: There are a number of common misconceptions that individuals have when it comes to the integration of neuroscience into clinical training and practice. One of the primary misconceptions is that neurocounseling is a new branch of counseling, often likening it to a new theoretical orientation of sorts. In reality, the integration of neuroscience into clinical practice can best be conceptualized more as a metatheory of the clinical process that can be applied to every theoretical orientation. This distinction has led some individuals to suggest that the term “neurocounseling” is to some degree misleading. Understanding the neurophysiological correlates of clients’ developmental levels, struggles, strengths and progress can all be used to inform and enhance all aspects of the clinical process, from case conceptualization and assessment to interventions and advocacy. It is a layer of information that we as mental health providers can use to enrich our understanding and work with clients. This knowledge of the brain and body can also be used to develop new theoretical approaches, such as neuroscience-informed cognitive behavior therapy (CBT), but it is not in and of itself a separate form of clinical practice. Another misconception is that integrating neuroscience into our field and practice is just another way of medicalizing the profession. Relatedly, some have voiced fears that it takes too much of a reductionist view of clients and client struggles. 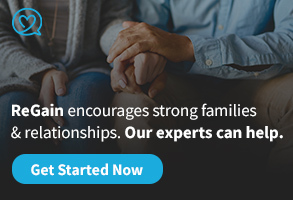 Understanding the neurophysiological pathways of addiction, for example, does not negate or diminish the importance of the therapeutic relationship, but it can help us to decrease the internalized stigma some of our clients may have of being weak and, similarly, empower our clients in their own recovery. As another example, take some of the developing theories around depression. Researchers are working to further substantiate the divergent pathophysiology between possible subtypes or phenotypes of depression. This information can be used to help us develop more effective therapeutic approaches for our clients. Neuroscience is not a threat to our professional orientation; if anything, it can be used to strengthen what we uniquely do as counselors. An additional misconception is that in order to integrate neuroscience into your practice, you need specialized and expensive equipment. Although biofeedback and neurofeedback are growing in popularity, efficacy and accessibility, and can certainly be used as part of informing and enhancing your work with clients, this is not the only way of integrating neuroscience. This is something that I like to really emphasize when discussing the role of neuroscience within the field. You do not need any fancy toys to benefit from all that neuroscience has to offer. Just having the information related to how the brain and body respond to trauma completely changes the way that counselors conceptualize trauma survivors who are struggling with symptoms of posttraumatic stress. Similarly, knowing how the brain is developing during adolescence not only demystifies the struggles children and parents may face during this seemingly tumultuous time, but also changes how we approach working with individuals during this developmental period. The knowledge in and of itself can simply make us more intentional in our work. The final misconception is one that is still somewhat debated even among those of us working in this area. I often get the question, “Do I actually need to learn the anatomy or physiology?” My answer to this is always a resounding “yes,” but I certainly do not speak for everyone working in this area. I am not suggesting that counselors need to be experts in neuroscience, but knowing the basic physiology and nomenclature allows counselors to understand the basis behind why a particular approach may be more beneficial for a particular client and be more intentional in that decision. It also allows counselors to continue reading the research that is coming out on a near-continuous basis. What we believe we know about the brain today may very well change tomorrow. Also, fields that translate “hard” neuroscience research into applied contexts (education, peak performance, counseling, etc.) can at times fall victim to overextending and misrepresenting the original research as they attempt to retranslate other translations of the science. This may sound a bit convoluted, but what I mean is that one practitioner who is well-versed in neuroscience will translate the possible implications of some neuroscientific finding into practical and applied information for their particular field. Then another practitioner in an allied area may take that information and try to reapply the initial implications in a new way to the new field. This is the root cause of a number of the “neuromyths” that are currently circulating and why there are so many “brain training” games available today. In essence, we become too far removed from the actual science. Our field needs to be able to do some of that translation firsthand and, ideally, build interdisciplinary research teams to collaborate in conducting the research rather than rely on translations from other fields. One final rationale for training in basic anatomy and physiology is that we are seeing a growing number of integrated care practices and interdisciplinary treatment teams. Having a basic knowledge of the physiology allows counselors to collaborate more effectively with the other specialties and advocate for the best care of their clients. What made you collaborate on a book about neurocounseling? Why do you feel it’s relevant and needed? 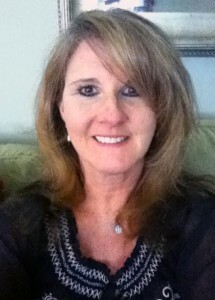 Lori Russell-Chapin: There are many neurocounseling experts throughout the United States. By joining forces, we can share this knowledge with so many other professionals who are interested. Integrating the concepts of neurocounseling from our book into my counseling has made me a more efficacious practicing counselor, counselor educator and counseling supervisor. The following short examples are offered to demonstrate why neurocounseling is relevant and needed in our counseling field. Neurocounseling interventions strengthen the intentionality of counseling. Understanding the brain and its functions make skill selection and strategies even easier. Teaching self-regulation skills such as diaphragmatic breathing or physiological and emotion regulation requires many brain connections to connect together from the prefrontal cortex, the insula and the anterior cingulate cortex. The next time you teach any self-regulation skill, think about all the brain centers you are activating. Understanding that rapport building and therapeutic alliance is essential to counseling and change is central to the tenets of neurocounseling and counseling. Both rapport and therapeutic alliance create emotional and physiological safety using the vagus system and interoception, helping the body be more aware of its senses. There is nothing more important to clients’ change than rapport and emotional safety. Even as my clients are introducing themselves to me for the first time, I begin to experience them in a more holistic manner. With that first handshake, I can feel if their hand is cool, warm, sweaty or limp. Each of these symptoms is a clue to a person’s sympathetic and parasympathetic nervous system. If the client’s hand is very cold, then it might be that he or she is anxious, [thus] activating the sympathetic nervous system. I could easily teach diaphragmatic breathing, heart rate variability and skin temperature control to help initiate the parasympathetic nervous system where we are supposed to be most of the time. Still another neurocounseling example is essential for building healthier neuroplasticity. Because of negative bias and the system’s evolutionary nature to survive, counselors must use our positive reflections lasting at least 10-20 seconds to deepen this change and build positive neuroplasticity. We remember a negative experience almost instantly. To remember a positive experience takes much longer. Lastly, counselors must better understand that skills such as summarizations assist the client and the counselor to activate the default mode network. This network helps us see the world of self and others in a more comprehensive manner. Identifying the neuroanatomy aspect of our counseling skills allows for more intentionality and strategy in counseling. This is neurocounseling at its best. Then collaborating with others gives greater access to all this knowledge. Working together again offers the best method to expand the depth and breadth of neurocounseling. To join the ACA Neurocounseling Interest Network, contact Lori Russell-Chapin at lar@fsmail.bradley.edu. For more information, see neurocounselinginterestnetwork.com. This month, we return to our common email issues faced by counselors. The question we have been asking (and answering) is: Which inbox issue are you trying to solve? a) I write emails during nonworking hours (e.g., 4 a.m., weekends, holidays). b) The number of emails I get each day is out of control. c) I need to translate my emails into tasks on a to-do list. d) My email signature leads people nowhere. e) I write the same email over and over again. In this column, we are talking to everyone who answered “C” to the question above. That’s all of the counselors out there who need a little extra help translating emails into tasks on their to-do lists. 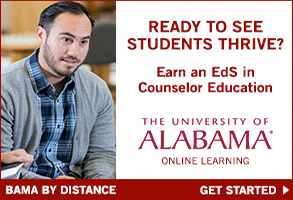 As counselors, we get a lot of emails. If you’re like us, you may even get hundreds of emails every week. Very often, these emails come from a variety of sources. In one day, a counselor may receive an email from a client asking to reschedule an appointment, a request to sign and return a release of information form and a call for conference presentation proposals for the state counseling conference. Buried within these email messages are tasks that need to be accomplished, all with various deadlines and differing priority levels. 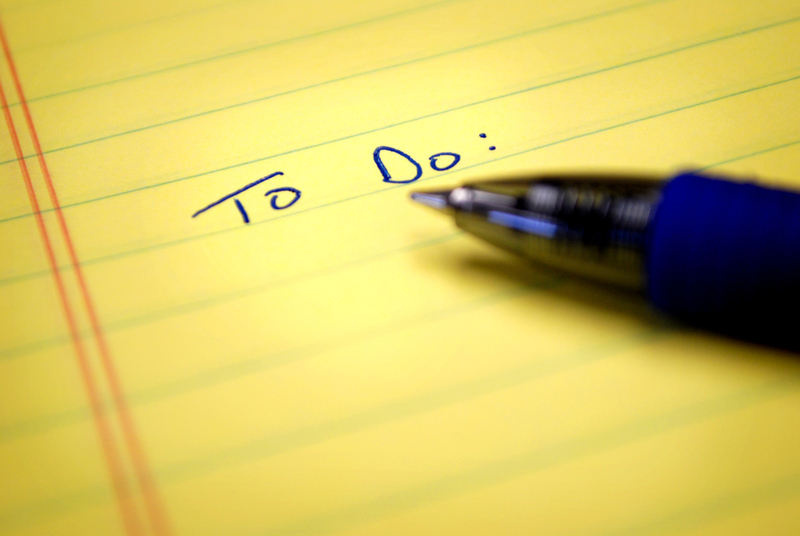 All of these to-do’s can easily get lost or forgotten. As counselors, we don’t want to let people down or not fulfill an obligation, but without a means to set reminders or make a note, that is likely happen. This is especially true for those of us who check our email from our phones, when we are not necessarily in a place to use sticky notes or a whiteboard to help us keep track. One system we use to help manage our to-do’s is an app called Google Keep. Keep is a free application that Google developed to create digital sticky notes and reminders. It is available in both desktop and mobile application form, allowing you access to your to-do lists no matter where you are. Notice that we said “lists” — as in the plural form. If you’re a sticky-note lover like us, you’ll be pleased to learn that you can make practically unlimited numbers of digital sticky notes (called “categories”) that you can color-code, share with others and prioritize. You can also set location and date reminders. For example, you could create a to-do list for your client needs, administrative tasks, professional development and personal errands all in one place. Another way to use this feature is to create categories depending on the task’s priority level or deadline date. For those with more advanced sticky-note skills, color-coding your notes can help distinguish your personal categories from your professional categories or your shared notes from your private notes. Oh, and you can pin the ones you use the most to help move your most important items to the top of your list and keep them there. Once you have set up your categories, you can easily go into the app or desktop feature and simply type or dictate your tasks one at a time. Once your items are on your list, you can even add check boxes. So, if you are one of those people who get a very satisfying feeling when marking an item off of your list, this feature is for you. The app keeps a record of each item you enter and mark off your list in case you want to keep this information for your records or revisit how much you’ve actually accomplished. In addition, you can set reminders for your various to-do’s so that you can receive notifications based on date and time or physical location. This can be helpful for reminding you to call Client B when you get to the office or to submit your conference presentation proposal by the deadline date. Another way this app can help simplify your life is through the sharing feature. You can share your to-do list categories with anyone you work with. For example, let’s say you are planning an outreach presentation with a co-worker. Use Keep to create a shared task list by adding a collaborator to your list, and see in real time when your co-worker has completed a task. So, how do we use Google Keep to manage our email tasks? We keep it pulled up on our desktops and on our phones each time that we open our inboxes. This way, as soon as we receive that professional membership expiration notice, we simply type it into our Google Keep to-do list and keep moving on with our day. This helps us set boundaries with our email — i.e., not mindlessly checking it when we are not ready to sit down and act on it — and allows us to avoid those stressful situations when it feels like an important task might have slipped through the cracks. Beth A. Vincent is an assistant professor at Campbell University in Buies Creek, North Carolina, in counselor. She is a counselor educator, licensed school counselor and former career counselor who is driven to learn everything there is to know about innovative productivity software so that she can help counselors be their most present selves. Contact her at evincent@campbell.edu. Our Instagram is @techncounselor (instagram.com/techcounselor/).